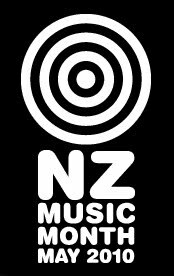 Over in this little part of the world, May is New Zealand Music Month. Where for 31 days radio, tv and all misc forms of media, up their ratio of kiwi music content, to help show the public that for a nation of only 4-5 million people, we're doing pretty darn good. As my drop in the ocean contribution, each Sunday in May I'll be chucking up a hit or two from a local artist or band, in a different genre of music then the one's that went before. Good kiwi stuff that's ideal to kick back with on a Sunday, with as you re-read your latest comic or even if you are that way inclined, your favourite Sunday paper. Check out Kids of 88 on Facebook, or for more on NZ Music Month, click the jump.